Red Pump Special - 40th Anniversary Edition, The Scottish Music Shop - The Best Selection of Scottish CDs and Scottish DVDs. 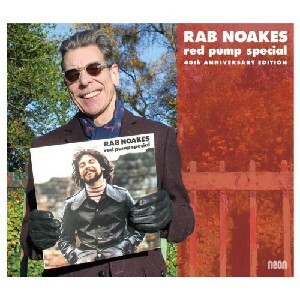 Commemorative CD issue of a highly regarded Rab Noakes record from 1973/74. Digitally remastered from the original recordings and contains four bonus tracks. The music is presented in a high quality gatefold sleeve with a 20 page booklet.